My business cards are in. The eco packaging is kind of cool. I really like the options of having a variety of backs on the cards. There are 8 different paintings that represent a good mix of my work. 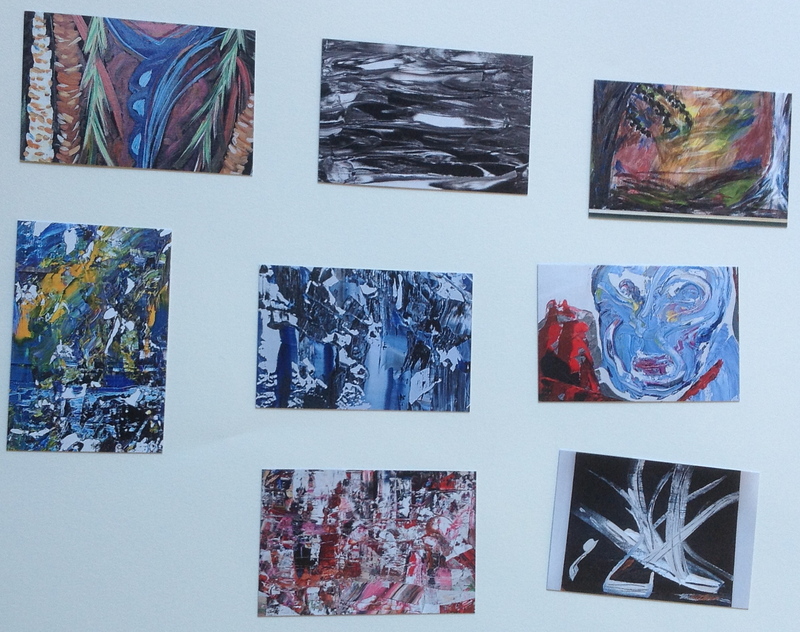 The plan is to now include newer paintings into the mix and keep changing the cards. Business wise, I received a response from the name search and will be following up with tammygebhardtvisualart as the official business name. Next big venture is to offer my work for sale. My goal is to cover my costs on the business end. On the creative end my goal is to explore light. My work is amature and needs to grow. Not that I regret where it is right now as I love the process. It is exhilarating to explore and painful to grow. With new eyes I revisit my work and see where it can improve. There is also a need for me to find the words to describe what I see and where the weaknesses are. Humbling is this process and fragile to creative ego. In order to go forward I need to expose my work as it is. Well, so much for introspective musings on this journey for today.